There were 25 Ligier JS2 Rs on the starting grid, 25 being one of the favourite numbers of the make during its 20-year season in F1 between 1976 and 1996, marking a great tribute for Ligier’s 50th anniversary this year. 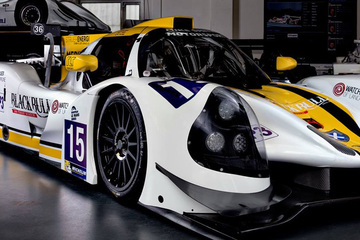 Unveiled at the Paris Motor Show on 11 October 2018, the Ligier JS2 R quickly won favour. A worthy successor to the Ligier JS2, that finished second at the 24 Hours of Le Mans in 1975, Ligier returned to GT with the Ligier JS2 R and to Le Mans for the first race of the Ligier JS Cup France. “Twenty-five, it’s a number filled with history for Ligier, a nice nod to the Ligier saga in Formula 1, comments Jacques Nicolet, President of Ligier Automotive. 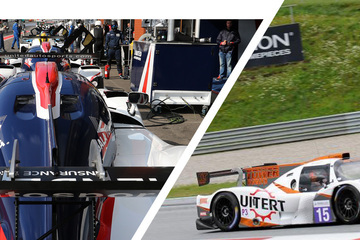 We thank the teams and drivers for their trust in the launch of our first single-make series”. The private tests took place on Friday under the sun. It was the first time for many drivers that they got behind the wheel of the Ligier and the opportunity for the teams to adjust their settings. The race began on Saturday and on the first lap, the #7 Ligier JS2 R entered by SKR Garage Cretot took the lead before it was overtaken by the pole sitting #48 Ligier JS2 R of MT Racing. The Ligier #7 of SKR Garage Cretot, #555 of TLRT 555 and #25 of Groupauto then fought hard for the lead. At mid-distance, the #25 Groupauto Ligier JS2 R was first and held onto the lead for seventeen laps. With one hour left, the #7 SKR Garage Cretot Ligier JS2 R reclaimed the top spot before giving in to the #555 of TLRT 555 that led the race for 20 laps. During the last 10 laps, the #10 Zosh – Di Environnement Ligier JS2 R moved up to first and fought with its sister car, the #72 Zosh – Dirob Ligier JS2 R. Five minutes to the finish, the #72 was forced to stop to comply with the time-limits set by driver. 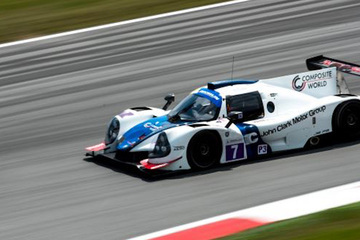 The #10 Ligier JS2 R of Zosh – Di Environnement emerged victorious in the first race of the Ligier JS Cup France. The #72 Zosh – Dirob Ligier JS2 R finished second and set the fastest lap in race in 1 :49.019. 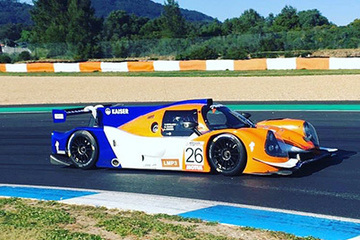 The Ligier JS2 R #555 of TLRT 555 rounded out the podium. Out of the twenty-five Ligier JS2 R on the starting grid, twenty-one cars finished. There was no retirement due to mechanical issues, only after race incidents. 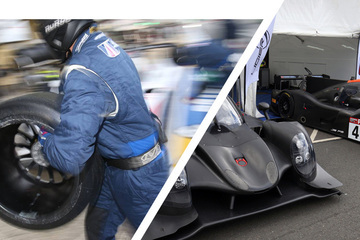 “An exceptional start, concludes Benoît Abdelatif (Ligier JS Cup promoter) The teams of Ligier Automotive managed to manufacture twenty-five cars for the first race, despite a very short timing and a timeframe for production almost untenable. They did an impressive job for the greater enjoyment of the drivers who fully enjoyed their Ligier JS2 R. The best words to describe these first two-day race on the mythic track of Le Mans are pleasure and reliability. This is a great start for the season that looks promising for the future”. 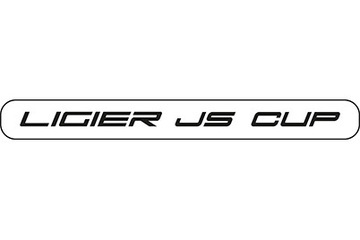 The second round of the Ligier JS Cup is held at Dijon, France on 12-13 April, where 28 Ligier JS2 R cars are expected to race.